I hope you will join us tonight for prayer, worship and communion as we prepare for the Easter weekend! We also need help setting up for the weekend this Friday. If you can come down at anytime, there will be something for you to do! Thank you to everyone who has beeen serving! I can't wait for the weekend to get here! Easter Sunday classes begin with Meditation at 10:30am followed by the Wisdom Circle at 11:15 on the topic of “Resurrection Consciousness.” Qigong 5pm Sunday with Shifu Andrew Plitt; ACIM study group 7pm Tuesday; Reiki Moving Meditation 6pm Wednesday. Sophia Symposium Saturday and Sunday April 6-7; by donation - come for all or part; register by April 1. Saturday featuring Marilyn Nutter with “The Historical Sophia”(am) and “The Personal Sophia” (pm). Sunday featuring Rev. Patsy and team with “The Return of Sophia” (am) and “Celebrating Sophia” (pm) group activities. Spiritual direction and holistic healing by appointment. The spiritual wellness center is located at 270A Hanford Street in Sutter Creek. For more information contact Rev. Patsy at 209-418-9003 or visit www.sophiaswell.org. "When God Crossed His Arms"
We all remember growing up with our favorite TV shows, bands and heartthrobs. Ever wonder where they went? They were stars for a little while. They never thought it would end. But then, it did. And we all know friends or family whose relationships with Jesus and church could end the same way. Discover why it lasts for some people, and why, for others, we end up asking "Where Are They Now?" This week as we conclude our series, we will look at the story of Joseph and how he responded to the circumstances in his life. Joseph is one of my favorite people in the Bible. I love the fact that despite his arrogance and dysfunctional family as well as lies told about him that landed him in prison, he stayed the course in his relationship with God. Join us Sunday for the message: "When God Crossed His Arms". Time to begin to pray about how God would have you serve this Easter. There will be lots of hands needed this year. We will have more information at a meeting right after service this Sunday in the fellowship hall. For the month of March ReBoot Student Ministries will be collecting bottles and aluminum cans to be recycled. The money that is collected will go towards our Speed the Light goal of $2,000 for the year. If you would like to help, please drop your cans and bottles off at the church at either our Sunday or Wednesday services. You could also drop off the receipt and we will turn it in. Any amount will our students reach their goal. Women's Ministries is getting ready for a great new bible study beginning Thursday, April 11th! Join Sara Noack and Debbie Hansen for this exciting time to get spiritually and physically healthy!! Click on the picture to the left for a quick video that tells you more about the curriculum and sign up at the information table this Sunday!! Due to an unforeseen conflict for Fr. Beck, the time on the St. Katharine Drexel media tour invitation (below) has been pushed out from 10:00am to 11:15am. The historic Amador Catholic Community, led by Rev. Lawrence Beck, joyfully announces its Dedication Day Mass for St. Katharine Drexel Catholic Church on Sunday, April 7, 2013. 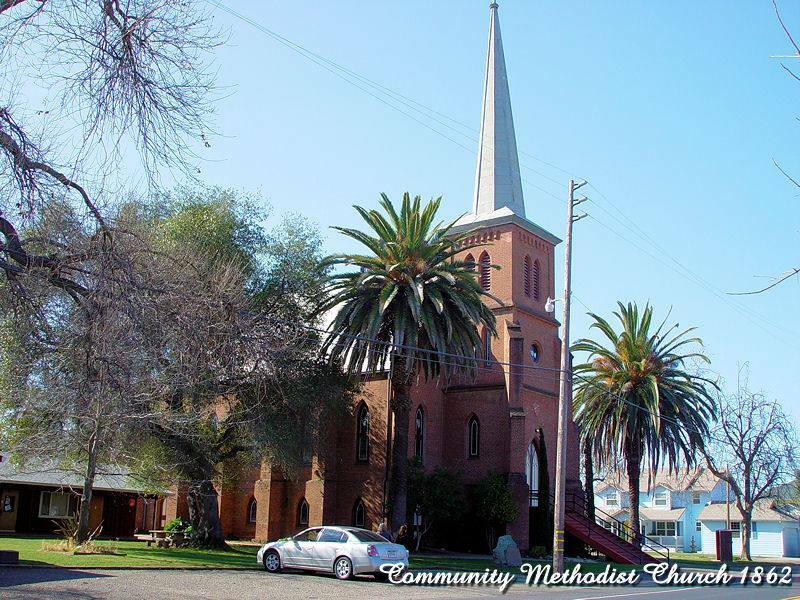 Looking back 160 years to the construction of the first Catholic church in Amador County, St. Bridget Church in Volcano, by a handful of local miners, the new seven-church parish will faithfully serve over 1500 Roman Catholic families in the county. St. Katharine Drexel Catholic Church and Parish Center, located in Martell at 11361 Prospect Drive, is truly a vision come to life and the culmination of many years of dedicated planning including a successful $1.5M capital campaign. The newly constructed 700-seat capacity church will serve as the primary church of the parish, which unites six churches in three former parishes. The new parish will bring a focus on youth ministry. In an economic time when religious facilities are shutting down and consolidating it brings renewed hope to see this thriving Christian community continue to grow. I love Spring. The joy of life is evident with birds singing, the happy green hills, and the return of the warming Light. That joy is evident in the activities being shared at Sophia's Well of Wisdom. We delight in the joys of inclusiveness, compassion, and healing wisdom as we endeavor to create a truly inter-spiritual community. Enjoy the newsletter and if you have any questions, call me at 209-418-9003. As the tidal rythmn of the mighty ocean heaves its breath in and out upon earth shore, so my breath pulses against my Being, a surf sensation, in and out caressing consciousness - a gentle awareness of breath and mind. (My experience from "One-Pointed Concentration Meditation on Singularity" as presented in Dimensions of Being by Eugene Alliende. Prayer in the Cave of the Heart, the Universal Call to Contemplation by Cyprian Consiglio. "Cyprian Consiglio is a very contemporary monk, who believes that the call to contemplation is universal and sees the current interest in Eastern spirituality as an incentive to seek the way of interiority within the Christian tradition. This approach must be greeted with delight, particularly as he brings with him the words of such as Origen, Bede Griffiths, Sri Aurobindo, Swami Abhishiktananda, and Simone Weil, and supports his arguments with wisdom from the Fourth Gospel, the Upanishads, Buddhism, and Taoism. A cornucopia of richness and delight and a fitting book for our time." --Shirley du Boulay, Author of Beyond the Darkness: A Biography of Bede Griffiths and The Cave of the Heart: The Life of Swami Abhishiktananda. contemplation and prayer. Every page is rich with information gathered from spiritual masters past and present and wisdom from the world religions. He guides the reader to access his/her own heart and mind in union with God. Simply stated with reverence and understanding for his subject Fr. Cyprian beckons us to join him on the beautiful journey into The Cave of the Heart. I recommend this wonderful book. Explore the wisdom of Adyashanti, a modern spiritual teacher devoted to serving the awakening of all beings. The Gathering consists of meditation and media presentation of Adyashanti's teachings. Contact Mary Yount at 209-267-5461 for more information. In keeping with the Season of Peace & Non-Violence as well as the Christian celebration of Palm Sunday, we will walk & sing the pathways of peace within each of us and all of us! The event includes music and singing along with with Laurie Story Vela, son Jeremiah, and our own music leader Shari Anderson. There will also be some artwork and a peaceful walkabout through town. Sunday March 24 from 2 - 4 pm. Tracy provides our lovely seasonal celebrations designed to inspire and challenge participants. Shari Anderson brings her musical talent with music and song. Join us in a lively celebration of Spring as we dedicate our energies toward new beginnings of love and peace. Please wear clean loose clothing. Donations Accepted. The inclusion of Sophia (Greek for Wisdom) in early Judeo-Christian history indicates her importance in the formation of our understanding of the mystery of creation and our deep connection to universal consciousness. Unfortunately, the Divine Feminine was diminished over time the developing dominance of the emerging religious institutions. 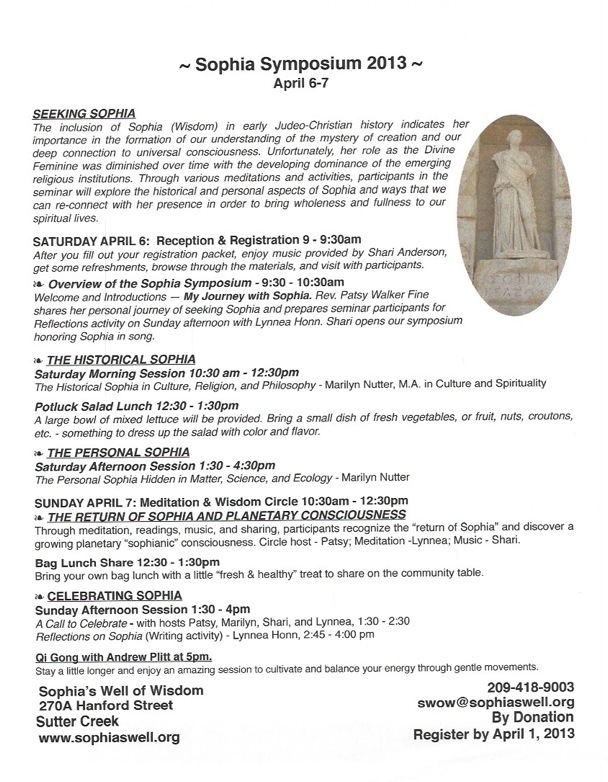 Through mediations and activities, participants will explore the historical and personal aspects of Sophia and discover ways we can reconnect with her presence in order to bring wholeness and fullness to our spiritual lives. Marilyn Nutter, MA in Culture and Spirituality from Holy Names University, will be the featured speaker on Saturday. Call for details and a brochure. Register by April 1. By donation, come for all or part. Feel free to contact us with any questions regarding any of the classes or events. Cultivating a Garden of Consciousness is the theme for March with Sunday Morning Meditation, 10:30; Wisdom Circle follows at 11:15. Weekly topics: Clearing the Space, Nourishing the Soil, Planting Seeds, Weeding, and on Easter Sunday, Raising a Crop. Weekday events: Qigong 5pm Sunday; ACIM study group 7pm Tuesday; Reiki moving meditation 6pm Wednesday. Monthly events: Adyashanti Gathering 3/4 at 7pm; Drumming Circle 3/10 at 2pm; Reiki Healing Circle 3/13 at 7pm; Free Healing Clinic 3/16 from 10am - 4pm; Spring Equinox Celebration 3/20 at 7pm; Peace Concert and Playshop 3/24 at 2pm. Spiritual direction and holistic healing by appointment. 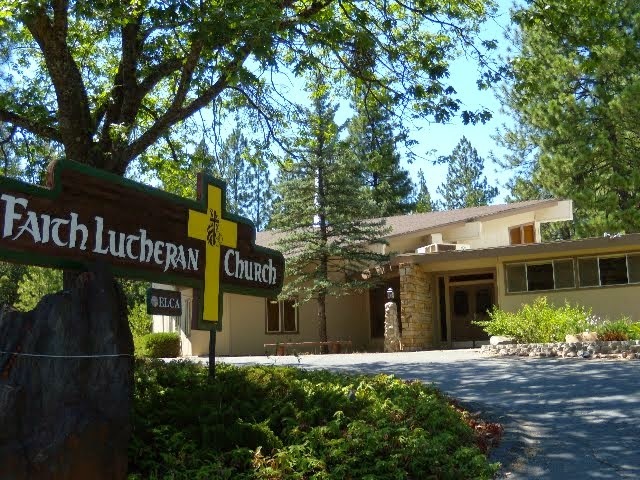 Located at 270A Hanford Street in Sutter Creek; 209-418-9003; www.sophiaswell.org.